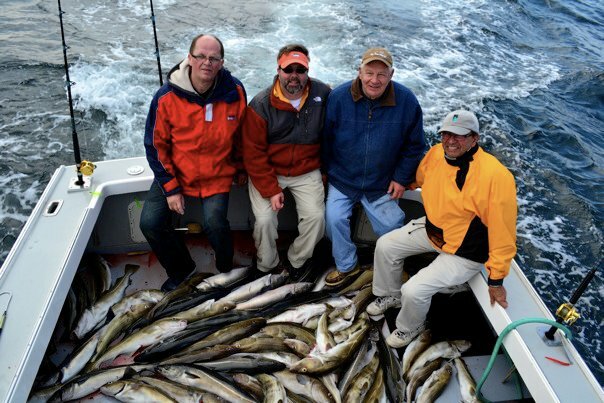 Cod fishing charters. Fishing for cod in Massachusetts. Cod bigger than 50-lbs can be caught in our waters. These bottom dwelling monsters can be found year round on Stellwagen Bank and Mass Bay. 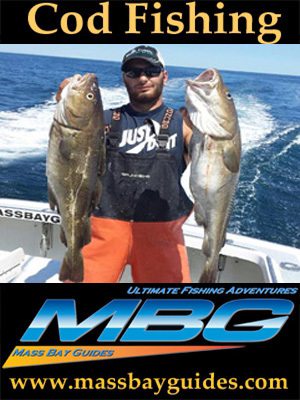 You can catch Cod, Haddock, Pollock, Red Fish, Cusk and maybe a Halibut while bottom fishing in Mass. 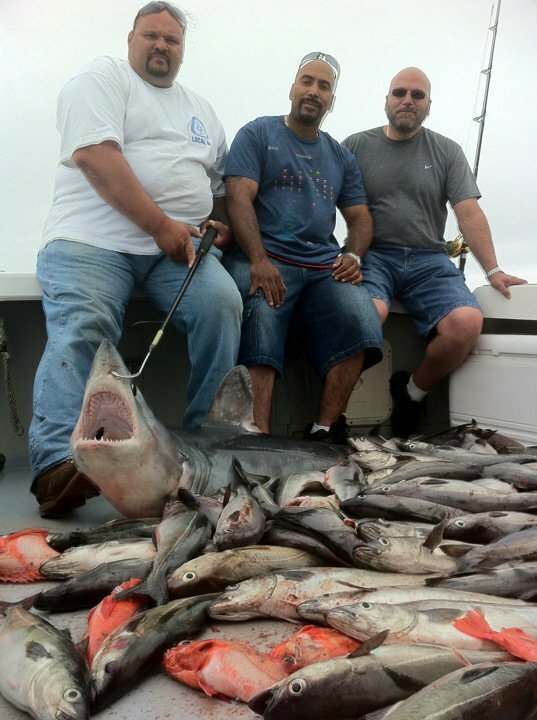 Many world record fish have been caught in the waters off Scituate. We also combine bottom fishing with most of our other types of fishing trips. Ask about our Combo Specials. If you want to have the cod fishing experience of a lifetime. Than go with a crew who has a lifetime worth of experience.! Bottom fishing in our waters can bring you a variety of different species ! Our trips produce hundreds of pounds of tasty white meat every day. You will catch as many if not more haddock and pollock while bottom fishing for cod.We start catching bottom fish in late April and continue to the middle of November. In the hot summer months the cod and haddock move offshore to deeper waters and migrate back to Stellwagen Bank and inshore in the early fall. We also Combine Cod fishing with other species like Shark Fishing and Tuna Fishing Due to New temperary NMFS regulations season for Cod and Haddock starts May 1st and ends September 1st. Post and Prior for bottom fish we Catch Pollock, Red fish, Flounder and many other tasty species.